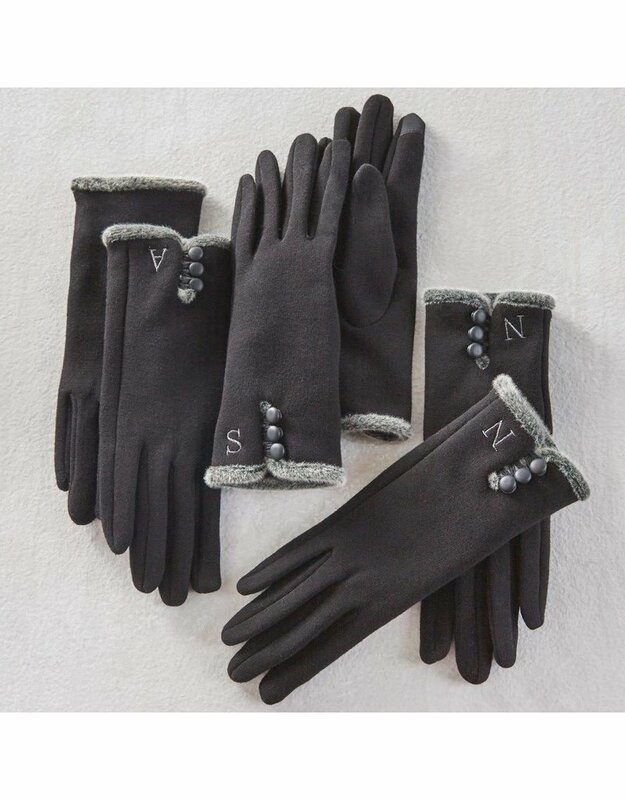 Ponte knit gloves feature faux fur trim, fabric covered buttons and embroidered initial at each wrist. Thumb and forefinger include smart screen technology for use with smart phones and other touchscreen devices. One size fits most. Picture shows various letters.